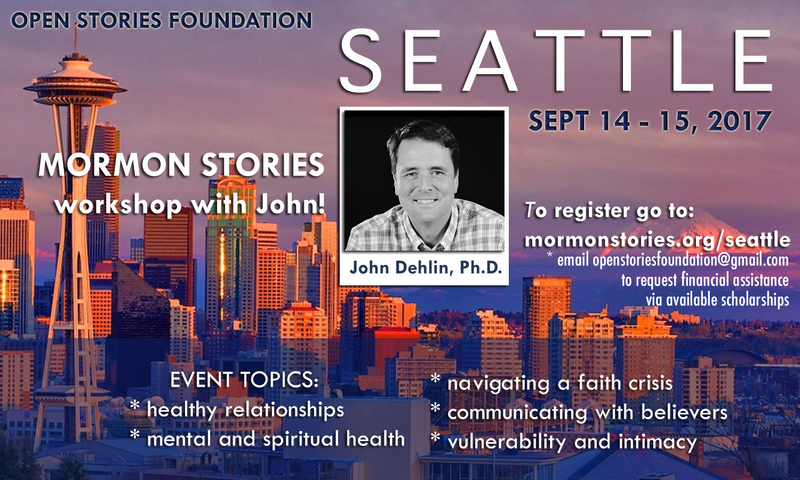 John Dehlin is coming to Seattle, WA on September 14th – 15th. COST: $125 per person – lunch included. If you are unable to afford the registration fee please email us concerning a scholarship at openstoriesfoundation@gmail.com. To donate to our scholarship fund click here.